The latest Xcode 8.2, installed on macOS 10.12 (Sierra). Can it be reproduced by running the build locally, after doing a new git clone of the repository into the /tmp directory and running the build from there with the Bitrise CLI ( https://www.bitrise.io/cli )? If no, can it be reproduced with Docker (using the same docker images / environment we use on bitrise.io)? Related guide: https://bitrise-io.github.io/devcenter/docker/run-your-build-locally-in-docker/ . 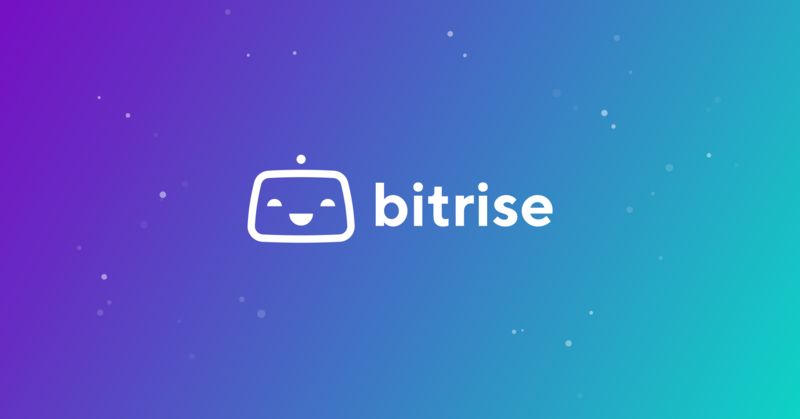 Can it be reproduced by running the build locally with our CLI ( https://www.bitrise.io/cli ), after doing a new git clone of the repository into the /tmp directory and running the build from there with the Bitrise CLI ( https://www.bitrise.io/cli )? Please attach the build log (you can download the build log from the build’s page, once the build is finished, using the “Download log” button - floating at the bottom right corner of the log viewer), or if you can’t attach the whole log then send the full log through a private channel (e.g. email - https://www.bitrise.io/contact ), with a link to the related GitHub issue. The solution is simple: select the Carthage step, and set a GitHub Access Token in the Github Personal Access Token input, as described in the input’s description. I’m not sure if something changed, but something stopped working. "API rate limit exceeded for 208.52.166.154. (But here's the good news: Authenticated requests get a higher rate limit. Check out the documentation for more details.)" Can you please copy paste the related build’s bitrise.io URL? It seems like a config issue, that it’s maybe an invalid API key, but without the logs it’s really hard to tell. *** Downloading AMScrollingNavbar.framework binary at "Release 4.3.0"
*** Downloading binary-only framework Crashlytics at "https://raw.githubusercontent.com/Building42/Specs/master/Carthage/tvOS/Crashlytics.json"
*** Downloading Crashlytics.framework binary at "3.10.1"
*** Downloading binary-only framework Crashlytics at "https://raw.githubusercontent.com/Building42/Specs/master/Carthage/Crashlytics.json"
*** Downloading binary-only framework Fabric at "https://raw.githubusercontent.com/Building42/Specs/master/Carthage/Fabric.json"
*** Downloading Fabric.framework binary at "1.7.5"
If the API token env would not be set by the step then all of these should have the same rate limit warning, but only one does. Do you have any other build you could link where you see the same thing happening @yonas? Definitely strange as it only seems to happen for that one framework… If it would be a true API rate limit issue it should happen for other ones as well (should be random). If the errors are still an issue after setting up a credential cache, you can add the --no-use-binaries flag, which will disable the only GitHub API calls in use by Carthage. Can you please ensure/double check that the related repo is at the path you specify? I found a new problem. Some repositories have errors in the README. The correct way of writing is this. Carthage can redirect internally to get the correct value. However, URLSession does not hold authentication information at redirect time.